Here I'll show you how to juice for health and explain the specific health benefits of adding fresh juicing diet plans to your nutrition - using our delicious free recipes here! Whether it is just a fad or an exercise that is here to stay, juicing is becoming more and more popular, especially for those who are very health conscious. However in order to get the best benefits out of the juicing exercise some points should be taken into careful consideration. I just love, love, love making and drinking my fresh juices from favorite fruits and vegetables. There is no taste as wonderful in this world as skulling a glass of fresh juice! Get all the info you need here for specific health issues you want to work on, and the recipes suggested to help in those areas. Juicing can be incorporated into the daily lifestyle for the purpose of enhancing healthy living and it is also a good way on increasing the daily intake of fruits and vegetables. For most people though juicing is either a chore and a bother or a welcomed alternative, however for those who enjoy juicing it is greatly encouraged as its better to do it personally than to buy juice products. If you are serious about including juice in your daily diet you will be best off investing in a good quality electric Juice extractor machine to make the job fast and simple. Making juice should not be a chore to do or to clean up after, if you have the right equipment. All juice products have to be treated and processed to ensure its integrity and shelf life, therefore homemade juices are a better choice to make. 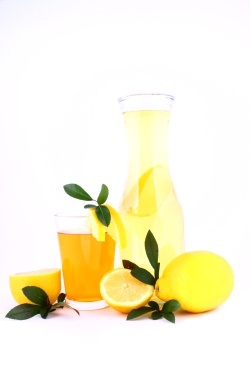 However when doing homemade juices, it should be noted that it is very important to consume the juice product as soon as it is ready as letting it sit will only encourage the growth of pathogens and they also tend to break down faster when exposed to air, thus effectively losing a lot of its originally touted value. 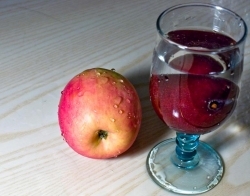 It should also be noted that although consuming juices as a regular habit, limiting the juicing to only fresh fruits would not be a very good idea as a lot of fruits have a naturally high sugar content and are not so high in fiber, thus causing the negative build up of sugar levers in the body system. This may lead to diabetic and weight gain issues. A better alternative would be to combine complimenting fruits and vegetables together to form one delicious concoction that is both tasty and healthy. Accompanying this with a healthy fat and lean protein diet is also an added advantage. As more people indulge in this form of healthy nutrition, it is becoming more popular to consume fruits and vegetable through juicing rather than eating these items as a whole and in its original form. However scientist and nutritionist are or two minds when it comes to the merits of juicing as opposed to consuming these items whole, although there is yet to be any proven data to merit or advocate either choice over the other. There should however be some research about it, before actually making juicing a permanent feature in your lifestyle. Studies have shown that juicing is one way of getting all the fruits and vegetable requirements into the body system effectively though without the positive addition of the fiber in the fruit & veg. It is arguably a more effective way of getting the nutrients adsorbed into the body system without putting undue pressure on the digestive system to break down the fibers. For those who naturally have a dislike for consuming fruits and vegetable, juicing may present a more acceptable alternative. There are also a variety of recipes available to make the juicing concoctions more agreeable and even tasty. Juicing combinations of vegetables and fruits are good to include in the recipe sourcing exercise. Most juicing recipes include the parts of the fruits that would otherwise be discarded in the more conventional way of consuming them. However with juicing the inclusion of pits, peelings, seeds and other parts are usually all included in the process because these contain a rich source of vital nutrients which are usually thrown out. Processed juices usually require some heating process to enhance the shelf life of the product and this can cause the enzymes to be killed. However with fresh juicing this can be avoided and the enzyme content can be kept intact. There are a few simple guidelines to follow when preparing produce for your juicing recipes. Whenever possible, use organic fruits and vegetables. Wash your produce before juicing. If it is not organic, peel it first. Ripe fruits and vegetables that are firm give the best juice. Soft fruits like bananas, mangoes and avocados are too soft and will clog the juicer instead of giving juice. You can juice whole lemons and limes, but the rinds of other citrus fruits like oranges, tangerines and grapefruits should be removed first. Leave the white pith intact because it is rich in nutrients. Melons should be juiced with the peel on because this is where you find most of the fruit’s nutritional value. half a handful each of wheatgrass and parsley. If wheatgrass is not available, use a whole handful of parsley. This combination of juices is high in Vitamin A. This is a healthy remedy for colds as it is rich in flavonoid content. It also has a fresh and tangy taste that is quite invigorating. Remembering to include as much of the white membranes as possible is a good idea as this too is rich in bio-flavonoid. However in this case it would be a good idea to avoid including the whole peel as it might result in a bitter taste from the zest, causing the juice to take on a rather unpleasant taste. The skin of the dark green cucumber will provide the source of chlorophyll which is a phytochemical that can help to build up the red blood cells. The cucumbers also contain silica which is a mineral that is good for the skin. Berries are a popular choice for juicing due to its quick and easy breakdown process and its simple rinse action. You may want to dilute this juice with some extra apple or celery if you find it is too thick to drink. Being a great source of antioxidants such as anthocyanins, flavonoid and ellagic acid all or which have good anti cancer and anti heart diseases benefits. In this recipe only the seeds are used and the rest of the fruit is discarded. However some may find better results using a blender as the seed does present a challenge to break down. Incorporating the juicing exercise into a weight loss diet plan is a very effective way to shed the weight. However it should be noted that the juicing process should ideally include both vegetables and fruits as concentrating on only fruits will not be beneficial because most fruits usually have high sugar contents. Juicing is also a good ingredient for any detoxifying exercise and it can be used as a meal replacement or when there is a fasting plan in place. If the juicing purpose is meant to detoxify, then it will function to push out all the toxins and fats that have accumulated over time in the body system. These juices will work as cleansing detoxification agents which would be an ideal substitute to a heavy unhealthy meal. Juicing will also be a more healthy and realistic way to lose weight. Most juicing recipes that are designed for weight loss are very nutritious and satisfying to ensure the individual does not have to resort to supplementing it with other food items due to hunger pangs. They also usually include ingredients that are specifically part of the combination for the characteristics of sweeping away the toxins and fats. In many cases you can simply replace 1 or 2 meals a day with a healthy and low fat fresh juice or smoothie drink. It is also recommended to ensure that all the ingredients used in the juicing recipes are fresh produce and it should all be cleaned thoroughly before actually commencing the juicing exercise. Fresh juices help to suppress the appetite and curb cravings. A glass of fresh juice before your meal will stop hunger pangs and you will experience a decrease in appetite. Vegetable juices contain less sugar than fruit juices and often help stabilize blood sugar levels. Carrot juice or a combination of carrot and parsley juices can help stop food cravings. When preparing juices for slimming, it is important to avoid fruits that are high in sugar content. Leafy greens and other vegetables are recommended. 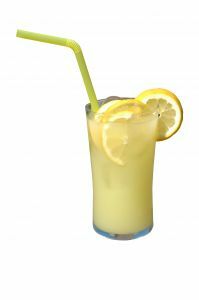 Weight loss juice recipes are similar to Detox recipes. Use plenty of cucumbers, cabbage, celery, lettuce, tomatoes, spinach, watercress and citrus fruits. You can add carrots or apples for a touch of sweetness. Apple berry fiber – the apples are excellent cleansing agents while the berries provide the mineral supplements. Green pineapple – this concoction is simply refreshing and bursting with goodness and also feels very filling. Gingered pear – a great laxative option and good for digestion. According to statistics, more than 2 out of 3 adults in the US are overweight. Juicing for weight loss provides a healthy option that burns fat while supplying enormous amounts of nutrients to the body. Juicing also increases your vitality, flushes toxins in the fat cells, and reduces acidity in the body. It is a healthy weight loss regimen that does not deprive the body of proper nutrition. When juicing for weight loss, vegetables are emphasized because they are low in fat and calories. Vegetable juices are also packed with essential nutrients. In addition, there are specific foods and spices that enhance the fat burning process. If your goal is to lose weight, avoid fruit juices because of their high sugar content. There are vegetables that stimulate fat burning. These include cabbage, carrots, broccoli and other dark green vegetables. They are negative calorie foods that require more calories to digest than they contain. Thus, they are best to use in juicing recipes for weight loss. Spices such as cayenne, cinnamon, coriander and pepper also stimulate the metabolism. Other fat burners include cumin, onion, garlic powder and chili powder. Start off your healthy lifestyle with a short juice fast. A juice fast will help flush out toxins and revitalize your body. You will be in the best shape to reach your weight goal. Always remember to use a wide variety of vegetables. This will provide all the essential nutrients that your body needs to function at its best. The best thing about juicing for weight loss is that you will gain so many health benefits that you will not want to go back to your unhealthy eating habits. Your digestive system and immune system will be at their best, and you will enjoy greater vitality and stamina. Healthy Juicing is for Kids too! Most times it is a struggle for both parents and children when it comes to tackling the issue of eating vegetables and fruits served at meals. However with the discovery of juicing this problem for most has been eradicated or at the very least decreased to controllable levels. Juicing is a great and fun way to get nutrition into the bodies of growing children to ensure optimal development of their bodies. The trick is to design concoctions that are pleasant to drink and are also refreshing especially after a strenuous playing session. However for younger children it would be advisable to dilute the juices, as the concentrated form may be too much for the underdeveloped body to deal with. 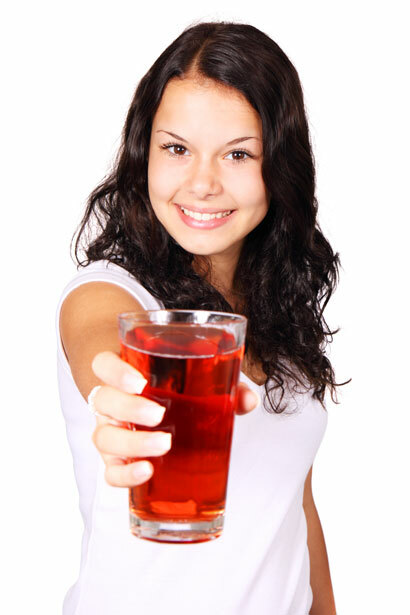 Teenagers and older kids should have to problems with drinking concentrated juices. Introducing juices to kids should be done in a gradual process with initial stages of diluting. Choosing fruits that have delectable tastes is much better and less likely to be rejected by the child. Starting out with single juice choices before moving on the combinations is also advised, as this will allow the body system and the child’s palate to get used to this introduction into the healthy daily diet plan. Changing the juices and providing a variety is definitely an attractive feature for children and they would be fascinated with the colors and tastes reflected in the variety. Once the favorite juices are identified, serving them as often as possible without boring the child will be beneficial. Using the favorite juice as a base, it may also be possible to add on a little portion of other fruits or vegetables to further enhance the nutrient content of the juice. 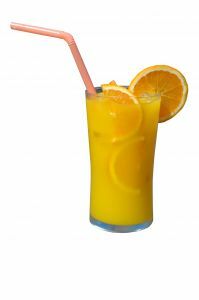 Some popular choices may include apple juice, pineapple and carrot juice, orange juice, orange and carrot juice pear juice and apple and grape juice. Juicing is not the new fad to combat natural aging processes. If makes sense to opt for this healthier and cheaper yet no less effective way of starving off the aging process. Juicing benefits the body as it provides the combination of all the essential vitamins, minerals, amino acids, essential fatty acids, and enzymes. These fruits and vegetable that are usually used in the juicing process are also power packed with anti aging and life preserving elements, so any choice made to incorporate regular juicing into your nutrition plan would benefit greatly. The antioxidants and substances that neutralize the free radicals in the system ideally provide the possibility of having good anti aging benefits. A diet rich with vitamins and minerals is the key factor to fighting against the aging process and one of the most pleasant ways of doing this is through the juicing exercise. Brightly colored fruits and vegetables are especially beneficial for the anti aging fight. Fruits such as oranges, cherries, tangerines, apples, blueberries, cranberries, melons, bananas, grapes, berries, kiwi, and mangoes are all know for the anti aging properties. These can be taken in combinations or separately, whichever is suitable for the individual’s palate. When it comes to vegetable there is the abundant choice of carrots, squash, red and green cabbages, broccoli, spinach which are just as beneficial for their anti aging properties too. Its excellent properties that creates healthy skin and eliminates toxin form the body is the reason this juice is a popular choice for many. This juice is a good controller of high cholesterol levels in the body system and also helps to fight against upset stomachs, besides the more obvious anti aging properties it carries. The juicing process is ideal for detoxification of the body system, as it enhances the enzymes, vitamins and mineral absorption which in turn greatly benefits the immune system. Juicing organic vegetables and fruits which are rich in nutrients will help to cover the cells in the body with the alkaline juices released from these juicing concoctions whereby acids are released and toxins can be removed through various elimination channels in the body. The parts of the body that play an important role in filtering such toxins would include the lungs, kidneys, skin and other functions like urinary and bowel movements. The enzymes released from these juices also help the digestive processed where the proteins break down the foods into nutrients and this is an important function as most adults have already used up their natural digestive enzymes by the age of 30. Therefore the outside aid that the juices provide is definitely beneficial to the digestive process as it is pivotal in the detoxifying regiment the body naturally enlists. When the body is full of toxins it is unable to absorb the nutrients that are available in the natural intake of regular foods, so the need for these added juices to assist in the breakdown of the toxins to cleanse the body and carry the appropriate amount to oxygen and nutrients directly to the cell and tissues. Some of the ideal ingredients to use in the juicing process for detoxifying would include lettuce, dark green kale, carrots, beet greens, cilantro, parsley, celery sticks, collard greens, endive, spinach, dandelion greens, cabbage both purple and green and lemons. Some people who practice this detoxifying regiment periodically attest to the fact that they no longer have cravings for sweetened foods and they can keep to a regular and healthy diet without any struggles. This is probably due to the fact that the body is able to function at its optimum because of the detoxifying sessions. half a lemon without the rind. This combination of greens flushes out toxins, cleanses and rejuvenates the skin, and cleans the kidneys. You can also create your own detoxifying recipe using cabbage, cucumbers, asparagus, apples, celery, lettuce, carrots, tomatoes, beets and watercress. The liver is the largest internal organ in the human body, it performs over 500 different functions. The liver affects our entire body’s health and well-being. The ingredients in the following smoothie are rich in valuable nutrients and anti-oxidants and are well known to help cleanse, strengthen, tone, and nourish the liver. To keep my liver healthy drink 2 quarts of this smoothie at least once a month. If you cannot find dandelion greens in your local health food store, you may substitute it with romaine lettuce. Blend well all the ingredients in the blender. Drink slowly and enjoy! It has already been established that juicing is a very healthy exercise to practice. This is also one of the contributing factors that ensure the individual’s chances of developing any medical problems are considerably lessened. By lowering the risk of having diseases the juicing habit has proven to be one that everyone should consider for its merits. There are several very specific combinations that can be used regularly of create the ideal effects within the body system that allow it to resist any possible occurrences of diseases. 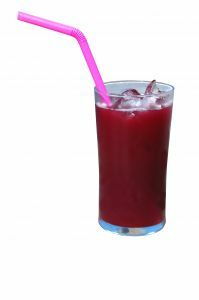 One of which, is drinking a beetroot combination, as this is said to dramatically reduce the risks of heart disease, strokes, Alzheimer’s and dementia. 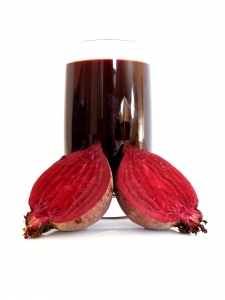 The bright red juice contains the chemical nitrate which dramatically reduces blood pressure for almost everyone taking this remedy. Another juice combination is the one with pomegranate content which is pivotal in lowering cardiovascular risks, however this should be taken with care as the potassium content is rather high. Tomato juice combinations are also supposed to help lower heart diseases and control diabetic symptoms. Other benefits from consuming tomato juice would include the resistance to developing chronic diseases like cancer and coronary heart disease. This can be avoided because of the carotenoid content called lycopene which is richly found in tomatoes. Some of the ingredients that can be used to combat or at least lower the risks of diseases would include broccoli, Brussels sprouts, butter squash, cabbage, Chinese broccoli, kale, spinach, parsley, collards greens, mustards green, chard, beetroot, carrots, cauliflower, cucumber, green pepper, sweet potatoes, lettuce and celery. Regular combinations of these juices will help to keep the chemical balance in the body system which in turn will allow the body to perform at its prime thus effectively avoiding any diseases. Almost everyone adult and child alike has experienced bouts of stress at various points in their daily life. For most, this is taken in stride until it is no longer possible to do so, and when this happens it almost always affects the health conditions. Fruit and vegetable juices have long been known for their stress relief and relaxation properties. Therefore taking the time to explore this healthy alternative to popping pill to relieve stress is certainly worth the effort. Apple, cherry and blueberry ingredients have been known to be good health boosting elements where the flavonoid can facilitate better lung functions and with this optimum breathing position the ideal amounts of oxygen is then able to be circulated well with the body system thus relieving any internal pressures felt when stress levels are high and this eventually helps to lower the stress levels. These ingredients can also contribute to relaxing the arteries and lowering the risk of cardiovascular diseases which are often caused by stress. Smoothies made from bananas, strawberry, peppermint and lemon can all help to relieve stress and create the relaxing overall body feeling. When the adrenaline levels increase the body requires more vitamin C and as this cannot be naturally conjured by the human body there is a need to have this supplemented for outside sources. Bananas would contribute to stress relief properties while the peppermint which contains menthol will have a cooling effect on the body while the others will help in digestion, thus creating an overall effect that will combat any significant presence of stress. New discoveries have shown consuming fruits and vegetables, in the form of juices have been able to show significant benefits to the body system when ingested in regular intervals. There are dozens of different fruits and vegetables that you can use to make your own juicing recipe. Don’t be afraid to experiment with different combinations. The important thing is to use a wide variety of fresh fruits and vegetables to get all the essential nutrients that your body needs. One of the essential pieces of equipment you will need to become a regular juicer for health is a good quality reliable and strong electric juicing machine that will extract the juice from your fruit and veg without stress or strain. You also want to read customer reviews to make sure that the cleanup of the equipment is simple and fast. Click below to check out the most popular models being sold on Amazon right now. Note: You will often get a good discount on the usual retail prices, and sometimes even free shipping to your door, when you buy from the links featured here! 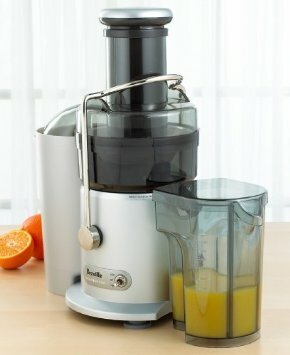 Which Juice Extractor Do I Use? I personally own and use the Breville JE98XL Juice Fountain Plus 850-Watt Juice Extractor and it has done a brilliant job for me over the years. I especially love the fact that I can feed it whole apples and fruit without having to chop it up first. It is tough as nails. And clean up is a breeze! You need even more Healthy Juicing Recipes! Some of these juicing recipe books for sale online are printed versions that can be posted to you, or you can pick from the Kindle download recipe books. Do Weight Loss Smoothies Work? What Are The Top Benefits of Juicing For Health? I have already mentioned above in this how to juice for health section that if you are serious about juicing, you will have to find a juicer machine that works best for you. Keep in mind that you will be using the juicer at least once a day. The product you choose must provide value for your money. It does not have to be the cheapest or the most expensive. However, you must be able to use the juicing machine and it should function the way you expect it to. Basically, there are two types of juicers: masticating and centrifugal. Centrifugal juicing machines are the most popular and they separate the juice from the fiber using a grater and a spinning action. Centrifugal force caused by the high speed spinning action pushes the pulp or fiber against a fine strainer and squeezes out the juice. The juicer’s motor can spin at 3,600 RPM up to 14,000 RPM. A masticating juicer machine works at low RPM and masticates or chews the food to squeeze out the liquid through a screen. Masticating juicers can be used to juice leafy greens such as spinach, parsley, and wheat grass. Many centrifugal juicers cannot be used to juice vegetables that contain leafy greens. A quality masticating juicer can usually extract more juice than a centrifugal juicer machine. High RPM centrifugal juicing machines work faster but expose the juice to air and cause frothing. Oxygen in the air oxidizes the juice and destroys some of the nutrients. On the other hand, low RPM masticating juicers do not expose the juice to air. The fruit and vegetable juices produced are fresher and tastier. More of the nutrients are preserved in the juice. When buying a juicer machine, you should consider the value and not the cost. Buying a cheap product that you end up not using is a waste of money. When shopping for the right juicer, make sure it is easy to operate. You should be able to juice your fruits and vegetables in a reasonable amount of time. Find a juicer that requires minimal preparation of your raw produce, such as peeling and pre-slicing. The juicer should be relatively easy to clean. A machine with lots of nooks and crannies make cleanup harder. If cleaning is too much of a hassle, the juicer will end up sitting on the shelf gathering dust. Look for a juicer machine with a powerful motor and a good warranty. Stay away from cheap machines with a warranty that’s less than a year. These models will not be able to handle some juicing recipes, especially those that contain leafy green vegetables. 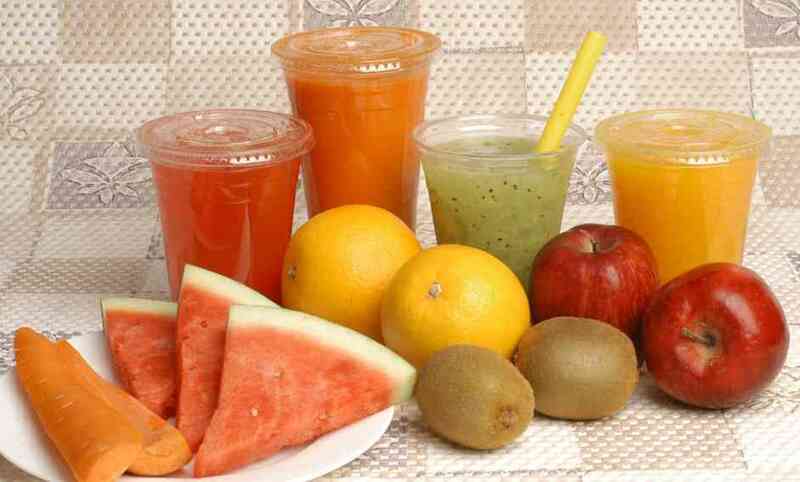 The juicing machine should also be able to extract the fruit and vegetable juices effectively. Just click below to find the best you can buy online, and get delivered to your door! Most people know that fresh fruits and vegetables are full of vitamins, antioxidants, minerals, and enzymes that boost the body’s immune system and improve its energy level. However, it’s usually difficult to consume sufficient amounts of the fruits and vegetables we need everyday. Learning How To Juice For Health is a convenient alternative to eating raw foods because the body can absorb the nutrients more quickly and in greater quantities. Juicing recipes provide ways to combine juices that will revitalize, cleanse, and repair the body.